Formed in 2013 Maximus Scales is a New Zealand owned company which imports and distributes weighing equipment and aims to provide truly relevant, high quality products and prompt, efficient, and reliable service at competitive prices. The range of equipment offered has been carefully selected to match New Zealand’s unique requirements. A very limited number of brands are represented and in all product areas the aim has been to select fully certified, high quality products, with unique features and benefits which offer a real point of difference and add value for New Zealand customers. 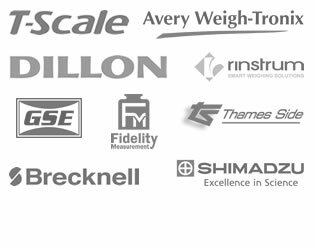 From laboratory balances to weighbridges Maximus Scales offers quality, cost effective products for retail, industrial, medical, scientific and educational weighing applications. “Weigh better” is not just the company slogan, it is the company mission. The two Directors have over 70 years combined experience in the weighing industry. Mark Rodway was National Sales Manager in a major New Zealand weighing company for over 20 years whilst Richard Walkinshaw was a Technical Engineer and Manager of the electronics laboratory in the same company. He supervised electronic repairs, carried out product research and development and undertook technical trouble shooting and project management. In addition to quality, value for money and a wealth of knowledge, Maximus Scales offers honesty, integrity and an ethical approach. The aim is to provide not just products and services, but solutions. The customer’s problems are the company’s business.